The main objective of LGGD Studio’s work is the aesthetic and functional enhancement of open spaces – gardens, parks, green areas in general. For this purpose, our design activity works as a link between the client and the space to be designed, of which we thoroughly study characteristics and potentialities. Landscaping always leads to a site transformation, whether of large areas or small spaces. Such transformation must lead both to an aesthetic and enjoyment improvement of the place, as well as to increase the value of building or property. For this reason, we consider very important the care of the details of each project, which combination determines the overall quality of the finished work. 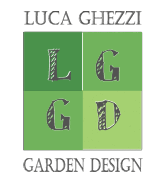 The design work of the LGGD Studio involves every aspect of the garden: earth-moving, building works, flooring, plantations, choice of materials, swimming pools, fountains, furniture, fences, outdoor lighting and irrigation. In the course of garden building, we believe that the presence on the field is essential to verify the execution of the work in all its parts on a regular basis. Experience has taught us that the quality of execution of each phase of the work is fundamental for the success of the next phase, until the end of the works. Our work is always focused on searching for customized solutions, also by the design of the single elements of the garden, with great attention to the values of the reference landscape. It is also our responsibility to ensure that the proposed solutions are clearly and pleasantly presented to the client and are really feasible, both economically and technically. Forestry, graduated from the University of Florence, he specializes in landscape architecture as a ‘Parks and gardens designer’. He has worked as a freelancer in Florence since 1990, at his own studio, carrying out design and works management for private and public administrations, and as a consultant for architecture and engineering studies. He has designed and built gardens and green areas in Italy, collaborated in planning works and drafted studies and projects for restoration of historic parks and gardens in Tuscany. He has participated in landscape and urban design competitions within multidisciplinary groups . He is an expert in vegetational studies, censuses and analysis of tree stability. He has also participated in many jobs in the field of environmental planning, with particular regard to the design of interventions for the environmental recovery of extractive areas and the redevelopment of degraded sites, both as an appointed designer and as a consultant for professional studies.